Have you ever daydreamed about living in a magical forest, feeling fully immersed in your natural environment and all the life it contains while still enjoying modern conveniences like comfortable beds and spacious bathtubs? Have we got the house for you. This beautiful small, inexpensive and modern home design is anything but what it seems. 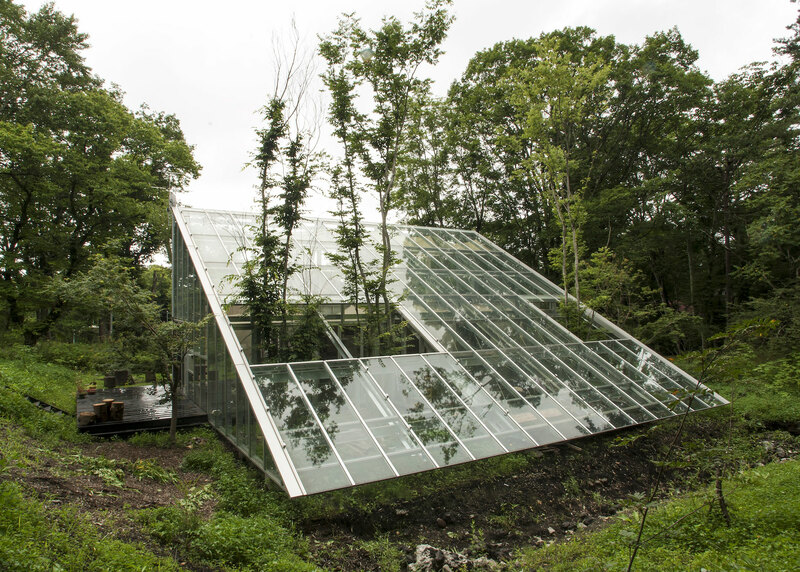 From a distance this curiously simple-looking glass and steel structure almost disappears into the natural landscape, and up close it looks like a broken old greenhouse with trees slowly pushing up through its remains. But take a closer look and you’ll be surprised by what you find. 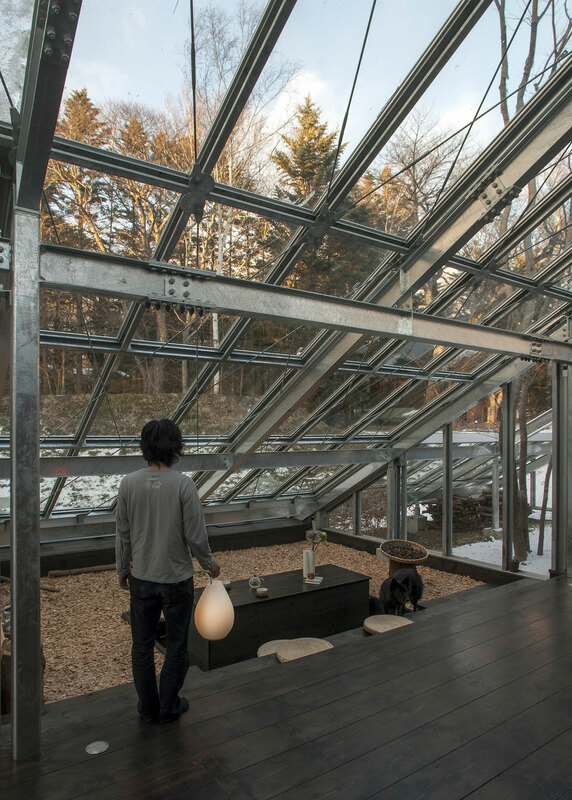 Architect Hiroshi Iguchi gave this unusual earth-sheltered modern home in Japan the name “Camouflage House,” and it’s easy to see why. 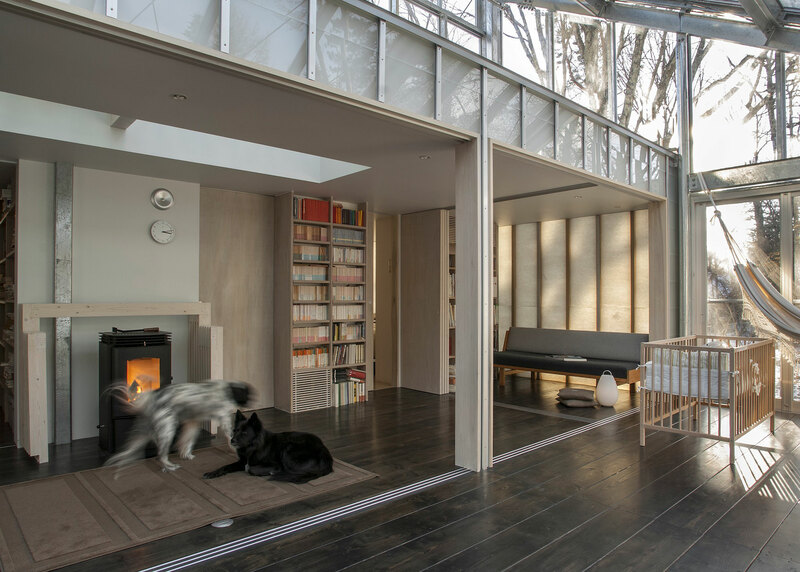 Lightweight modern materials surround the exterior, breaking down visual barriers between indoors and out, while warm woods and canvasses are spread through the interior to make it comfortable, cozy and livable. One would never guess from the outside appears that the inside would be so warm and inviting. 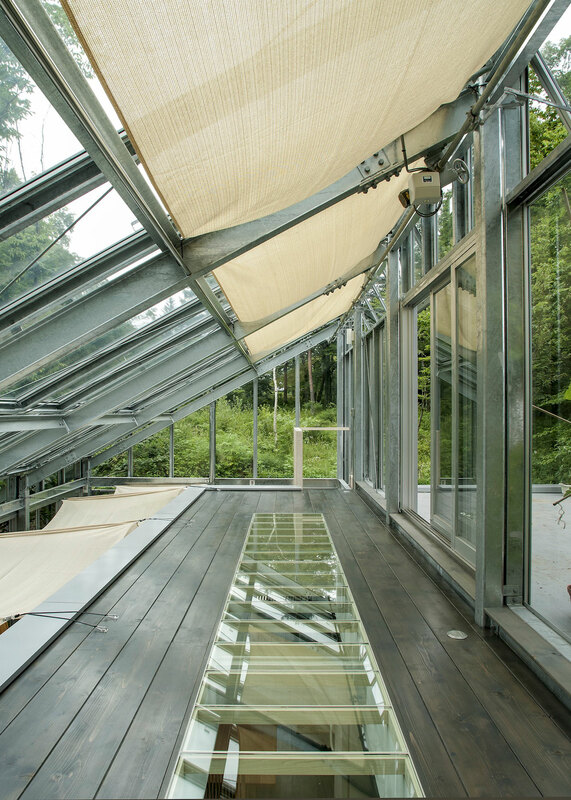 The design of the layout ensures that there’s no “greenhouse effect” inside; it’s filled with natural daylight, but uses enclosed interior spaces and sun shades to protect the interiors, and the shade of the trees outside does the rest. 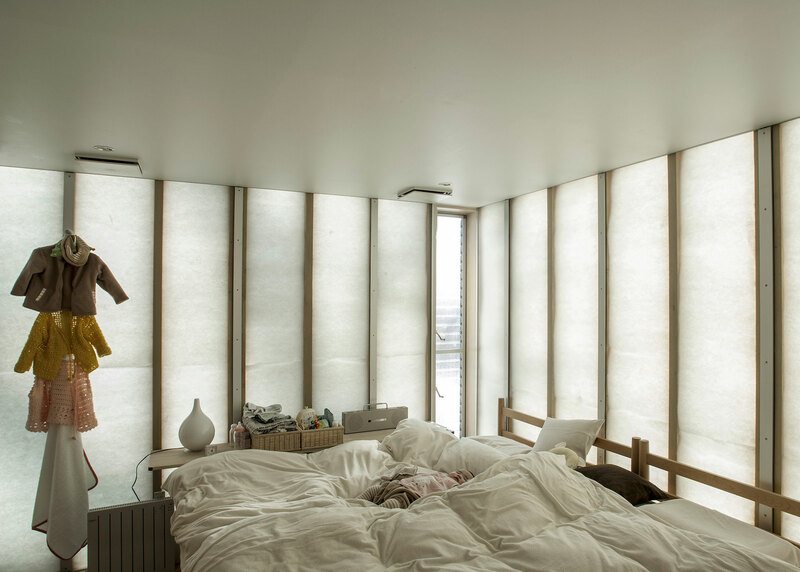 Skylights set into the floor of the interior volumes and translucent wall panels ensure that even the bedrooms remain bright, airy and welcoming. 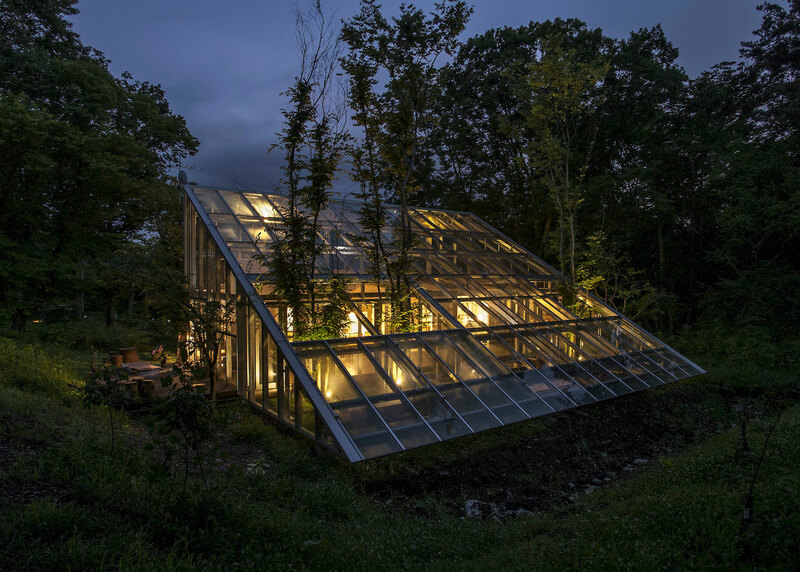 In the end, “Camouflage House” ends up feeling like a fairytale retreat, something a character might stumble upon in the forest only to find a collection of plants with magical properties or some kind of good witch living inside. 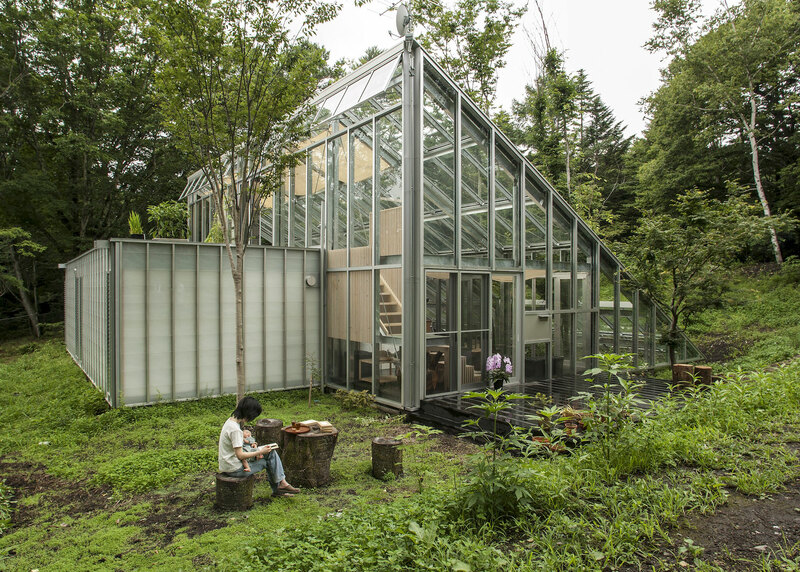 Cool as it is in its design and materials, it’s the trees poking through the roof that really put the cherry on top of this greenhouse residence. Would you live there if you could?